Thanks to its extremely compact design, the DiscSpreader has small space requirements while offering maximum efficiency. It can be retrofitted into existing plants and tight spaces, inline, at 90° or anything in between. This system offers better material distribution than vibrating tables, eliminating their need as well as the need for a steel support structure, entirely. 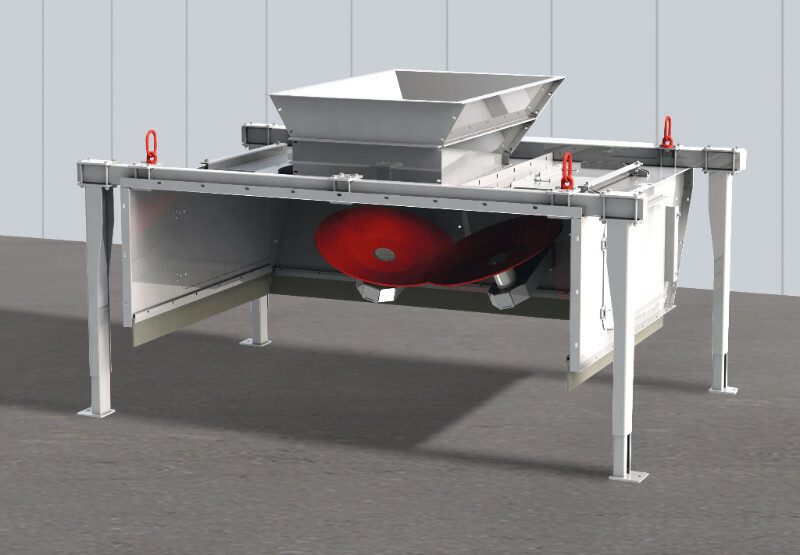 Even during non-linear material feeding the DiscSpreader ensures perfect, reliable material distribution across the entire width of the downstream equipment: windsifter, conveyor, screen or optical sorter. The Westeria DiscSpreader handles a wide range of materials including glass, wood, compost, scrap, residual sludge, commercial and domestic waste for all separation processes. Wet and sticky materials, too!